There is something about broccoli, picked fresh right out of the garden. Even those kids that profess to hate broccoli will gobble it up, and come back for more when they can eat it raw with dip, or gently steamed. 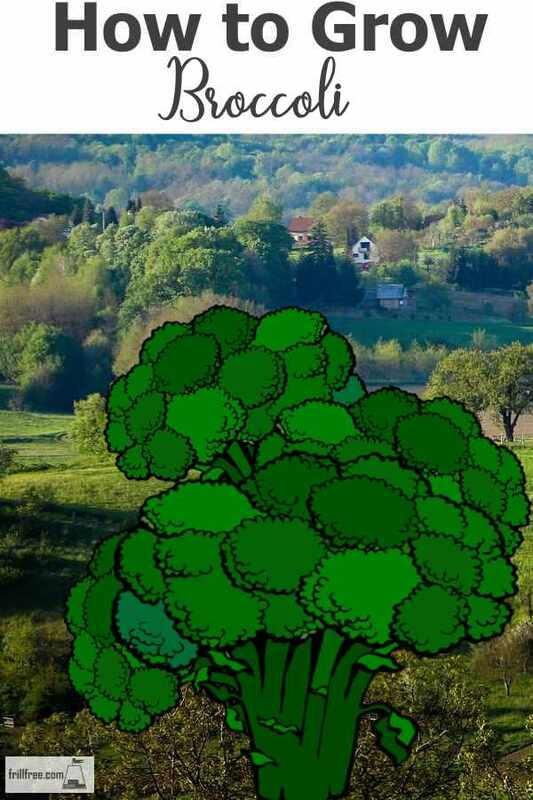 Learning how to grow broccoli organically will mean that you will no longer have a fight getting your kids to eat it, you’ll fight them to get your share! Broccoli, like all cruciferous vegetables, requires an alkaline, or sweet soil. If you’ve added lots of compost to your organic garden, the balance will most likely be slightly on the acid side; prevent clubroot and other issues by adding a handful or two of dolomite lime to the planting row and stir it in. Wood ashes will do in a pinch, to sweeten the soil, or my preference, Dolomite Lime. I’ve had great success growing broccoli by direct seeding them in March or April, but it’s absolutely essential that they are very thinly sown. If they’re crowded, you might get a few very small heads, not the robust and tender crisp larger ones. These are not excessively heavy feeders, but they do require a nutritious and porous soil. Even more important is an even supply of moisture; a few days of hot and dry weather, and these plants will bolt – charging right past harvestable into inedible in a matter of hours. These are what is known as ‘cool season’ vegetables; they are happiest in cool soil and air temperatures; utilize this and plant them early in the spring so they have time to produce for you before the heat of the summer. Alternatively, plant a late summer crop, and enjoy them well into fall. The heads can withstand a surprising amount of cold, even frost, and even though they look sad at first, as the temperatures warm up to above freezing, they perk up. Frost makes all brassicas sweeter. There are so many different varieties of broccoli. Find ones that are suited for your growing season; all seed packages will tell you how long the plants will take to reach maturity based on the seeding time, or from when they’re transplanted. Err on the side of shorter growing requirement, and you might even get time in your season for a second crop, or to sow some cover crops after the broccoli is harvested. Look for a mix of different types and varieties; these will reach maturity over a long time, sometimes weeks so that you will never have a glut of heads. I cut the main heads off, and then leave them to produce some smaller equally sweet and delicious side branches. This extends the season even more. One drawback to growing cruciferous vegetables or brassicas is that they are so attractive to the pesky cabbage white butterfly. These fluttery insects will start laying their eggs in early summer, just as the broccoli is setting heads, and the green well camouflaged caterpillars will ruin the heads with their chewing and excrement. There are a couple of things you can do: first of all, completely cover the crop with Reemay row cover, or any other light fabric. Make sure that all edges are blocked, and allow enough extra fabric so the plants can push it up as they grow. These plants don’t require any pollination by insects, so you can safely keep them isolated – they won’t be attacked by the butterflies, or aphids, their other nemesis. If, by chance you do start seeing damage, cut off all the leaves and the top of each plant, and then cover them with the row cover. Destroy the leaves you’ve cut off in a really hot compost pile to kill off the larvae. You will forgo any early crops, but the later ones will be clean and undamaged, and as an added bonus you will eliminate one whole generation of pests. 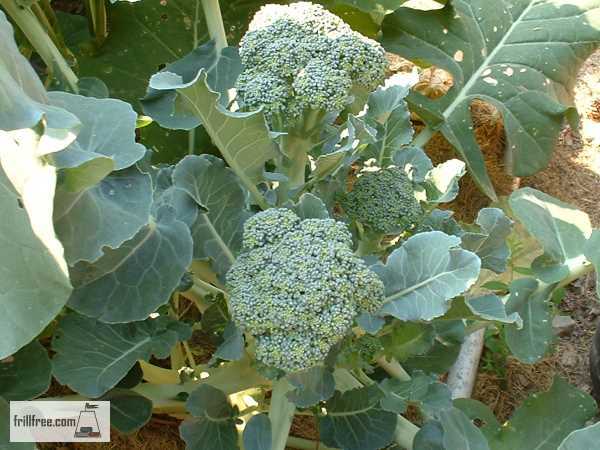 Don't be too eager to clean up your garden in the fall; broccoli is one of those vegetables that's really hardy, and even sweeter after a frost. 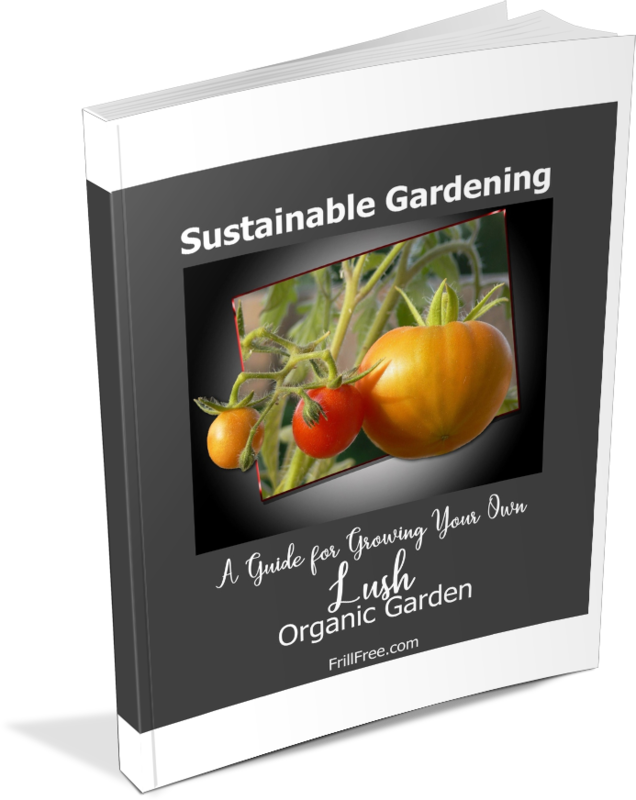 Click here to find out more about this e-Book and build your own LUSH Organic Garden!